Dinos Frantzeskakis, president of the Hellenic Association of Airline Representatives (SAAE); Zoi Skreki, managing director of Intermodal Air; and Leonidas Zotos, Travelport General Manager for Greece, Cyprus and Israel. 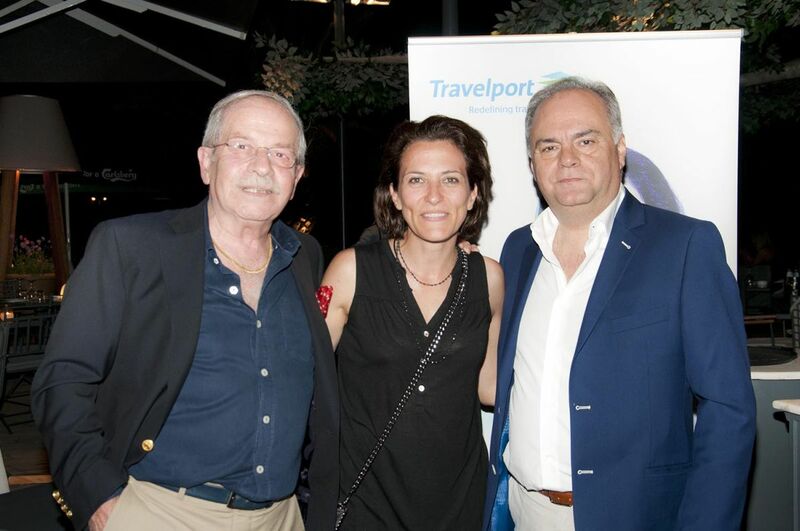 Travelport, a leading Travel Commerce Platform, and the Hellenic Association of Airline Representatives (SAAE) recently hosted their annual summer party in Athens to celebrate together another year of success for travel agents. Some 90 Greek travel agents attended the event that took place at the Vive Mar seaside club restaurant on the Athens Riviera in late May. The event was held in appreciation of the travel agents’ commitment and cooperation. “The travel and tourism industry is a key pillar of our economy and national identity and we have a responsibility to help drive its growth”, said Leonidas Zotos, Travelport’s General Manager for Greece, Cyprus and Israel. “With the courage, passion and professionalism of all the travel players in Greece and all the friends we have met at our summer party, I can only see a winning future for the Greek travel industry”, Mr Zotos added. Travelport's sales manager for Greece, Helen Katsiadaki, with George Kakaroumpas of the Seminars Lab. Goldstar Aviation's Vasilis Savarikas (sales support) and Fani Flerianou Demertzi (sales & marketing coordinator). 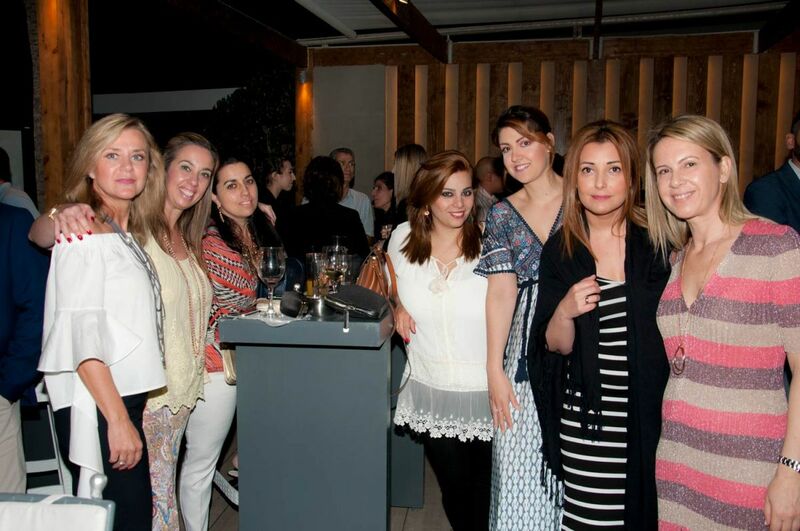 During the party, guests had the opportunity to mix and mingle in a casual atmosphere and enjoy drinks and canapes. Summertime is peak season for travel agents and was a great opportunity to unwind and relax, just before the peak-season. “Our annual event in cooperation with Travelport has become an institution, celebrating the advent of summer season for our travel partners, which they look forward to participating”, SAAE’s president, Dinos Frantzeskakis, added. 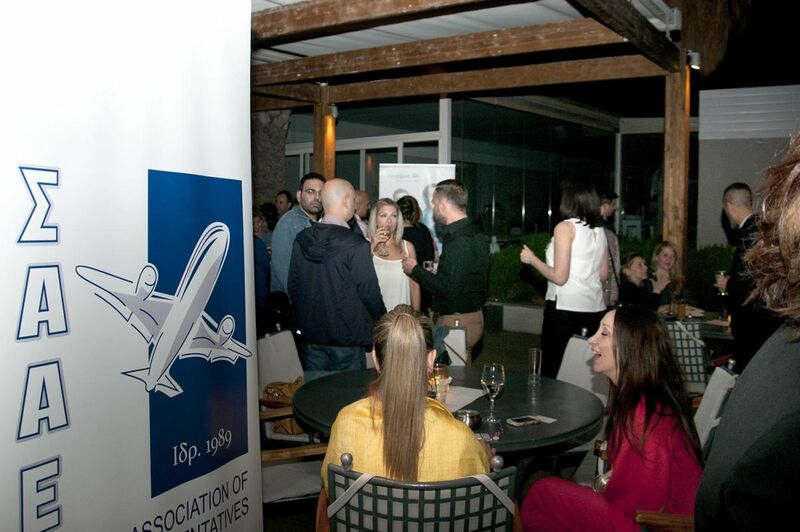 “The Hellenic Association of Airline Representatives and our 73 airline clients are proud to be associated with Travelport and to co-organize this highly successful annual event for our partners”, he added.